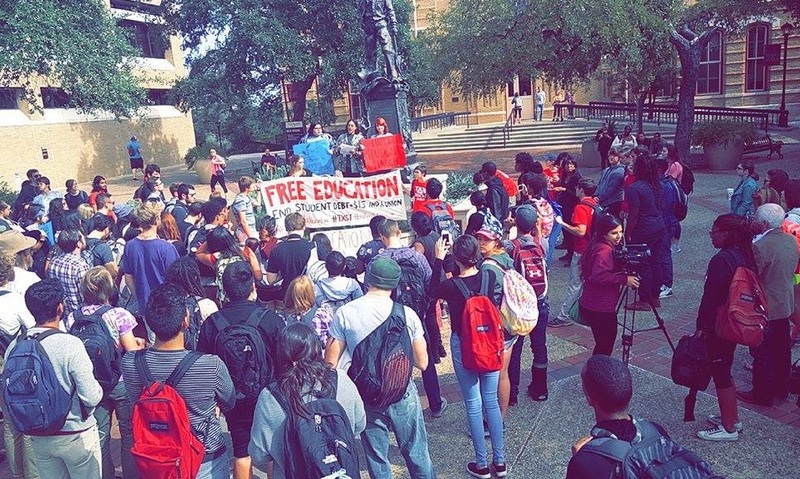 Texas State University students joined the nationwide movement to protest tuition cost in the United States. Texas State organizations such as Bobcats for Bernie, College Democrats, Feminist United and Black Women United gathered outside of Old Main and invited other students to join their protest. Students continued to march until they reached the President’s House, where protesters gathered to voice their opinions and demands. While the protesters continued to gather, several students that were against these demands approached the protest. One student that asked to stay anonymous said that the marcher’s demands were absurd and wouldn’t resolve anything. The student also said that the system the marchers were advocating for would not be feasible. 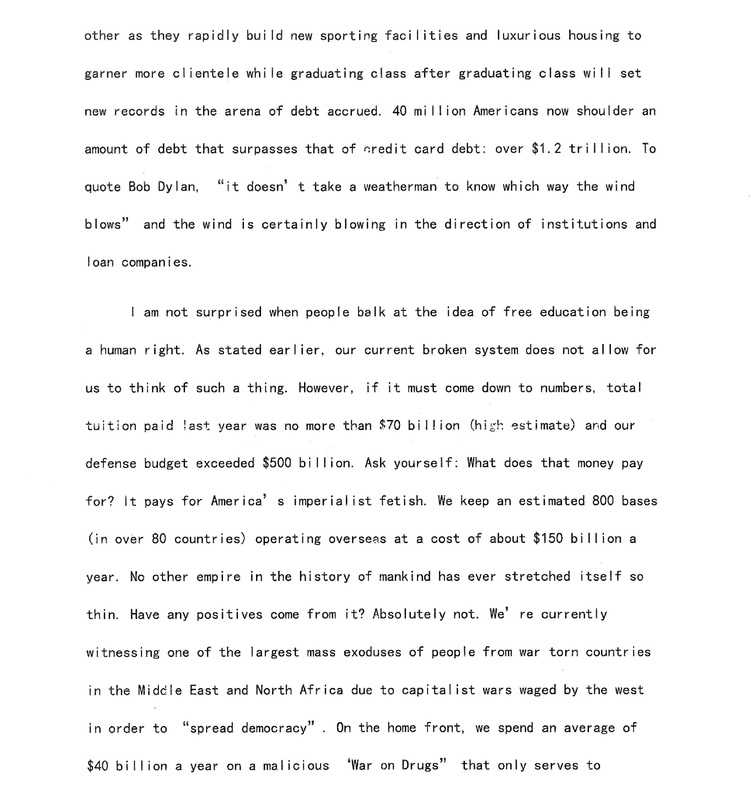 He stated that the systems in Finland and other parts of Europe were crashing and that the United State would also struggle. Kris Celera also said that this issue is just the tip of the iceberg and that there are several other problems that will arise with the acceleration of tuition. Celera believes that students are adults who can make their own decisions and that they signed up for tuition and loans with their own free will. Students for the Million Student March protest engaged with these individuals and explained their concerns. They argue that students should be entitled to an education without having to spend the rest of their lives paying back tuition debt. 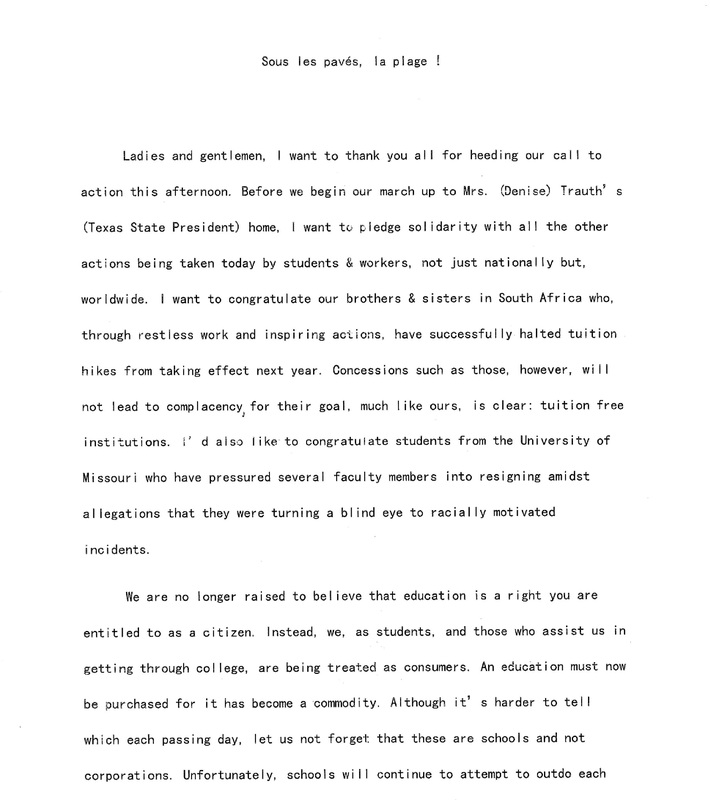 The Million Student March also took place at other universities such as Yale and the University of Missouri as several demographics of students and citizens gather to voice their opinions on tuition issues. 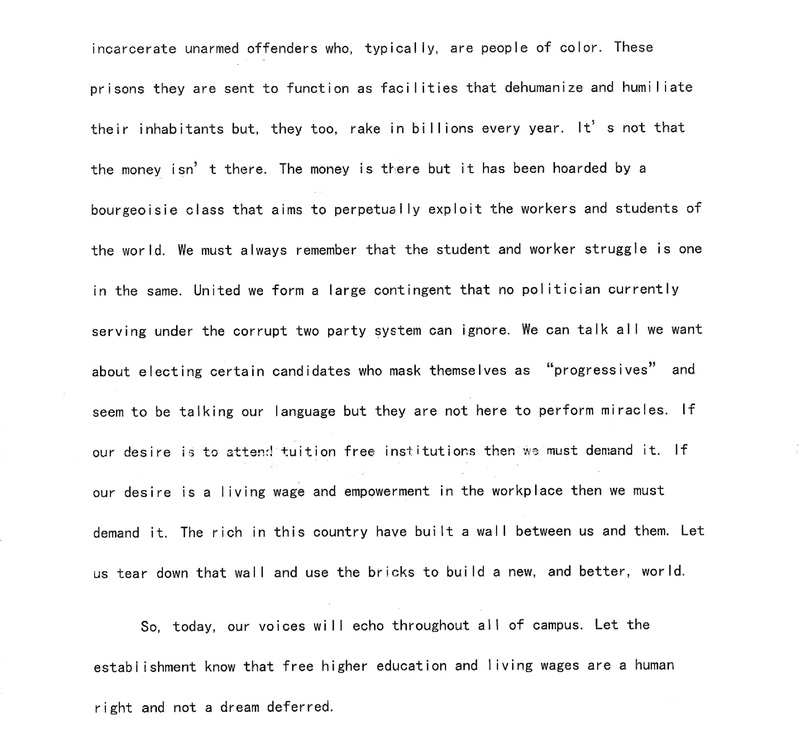 *Attached are Rudy Martinez’s opening statements for the Million Student March.